Another post from Ashley Taylor about gentle parenting with a disability. Being a parent is never easy, but when you have a disability, several aspects of the job can become a whole lot more complicated. For the approximately 4.1 million parents with disabilities throughout the country, the usual questions of parenting are compounded by worries about how they will keep up with their child, keep them safe, and educate them. Whatever your disability, the following tips can help you deal with these questions as they arise. As a parent, one of your most important jobs is keeping your child safe and healthy within your home. Parents with disabilities have to be particularly careful, as they are not usually able to keep up with a small child’s energy or react quickly enough if something dangerous is about to happen. Therefore, the key to parenting is prevention. There are a few key safety modifications that can make the everyday tasks of parenting easier and safer. These can include adaptable products such as chairlifts, modified sinks, and adjustable furniture such as changing tables and toilets. When you have a small child, a child safety gate can be invaluable, as it keeps them out of dangerous areas and can help you keep track of exactly where they are at any given time. Any piece of furniture or kit you can think of for raising a child has a wheelchair or disability-friendly version out there. However, these can often be very expensive. For example, cribs for disabled parents that open from the front can cost about $2,000, but if you can DIY (or know someone who can), you can easily make one yourself. Another area where DIY helps is food. Opening baby food jars can be difficult for people with cerebral palsy, arthritis, or similar disabilities. Making your own can be both healthier and easier as long as you have a good food processor. These recipes can give you some inspiration. Your children will experience a rare benefit from growing up with a disabled parent: They will automatically develop empathy and compassion for those who are differently abled. However, you should still actively teach them about these matters as well. This article by Parent Map outlines the ways in which parents can speak to non-disabled children about disability. While it is written from the perspective of a non-disabled parent, much of the advice still applies, such as being open to answering questions and teaching them that not all disabilities will look exactly like yours. Also, you can use your disability to teach them about compassion in other areas of life. Growing up with someone who is considered “different” will help them see the many ways in which “difference” is used to mock, bully, and demean people. You can use this to start a conversation about bullying and how they can prevent it, both in themselves and the people around them. Parents with disabilities will sometimes run into problems with social services or the law because people wrongly believe that they are unable to take care of their children. This isn’t necessarily likely to happen, but it is still a good idea for you to be informed of your rights as a disabled parent. This toolkit by the National Council on Disability is an invaluable tool for this. Parenting with a disability doesn’t necessarily mean everything is suddenly harder, but it does mean you have to think about certain matters more carefully than other parents. You will have to plan your everyday life in more detail and remain aware of how your experience is shaping your child’s world view. However, a disability will never stop you from having a beautiful, supportive, and loving relationship with your child — if anything, it can sometimes bring you closer. I’m not pregnant and not adopting yet, but I have been thinking a lot about unconditional love and thought I would write this since it is almost Valentine’s Day and every child deserves true unconditional love. I wanted you since I was a child myself and you are a dream come true. I promise to try to never make you feel unwanted. If I do, please tell me and I will make it right! I will always love you unconditionally! Nothing will ever change that! If you ever question my love for you, I will do everything I can to help you feel my love for you! I know I am going to make a million mistakes while we work together to get through this life but I promise to always apologize to you and truly mean it! I will teach you how to handle your big feelings and I will always do my best to validate your feelings. I will have my own feelings and may mess up by not remaining calm, but I will always apologize for yelling or saying anything that hurt you. I hope you will always feel safe enough to see share all your feelings with me. Yes, you will have appropriate limits and boundaries that you won’t always like. I will do my best to be appropriately flexible with you. Sometimes I will have to hold firm in the limit but I will always listen to you. If you want to do something differently, I will be open to that. Our relationship will be built on mutual respect and trust. I will always apologize if I disrespect you or break your trust in me. Of course, the same will go for you too. I will allow you to have self-expression as long as it’s not hurting anyone. I may not be into something you are, but I will never put you down for being yourself. Be yourself! I will never ever punish you by hitting/spanking you, time-out, taking away your stuff arbitrarily, or shaming you. I will apologize if I do. There will be natural consequences for you and I will help you understand them. You’re always welcome! I will want to see you! You always come first! I will never manipulate you for any reason. My precious child, this is a cruel world sometimes. You’re heart will be broken and my heart will break every time yours does. I am here for you. You will know how loved you are by me, your dad, your Heavenly Father, and others. It’s ok to protect yourself from toxic people and relationships. But please don’t lose your loving, vulnerable heart. It’s worth it to love. I will help you through this. I won’t be a perfect mom. Just know that you are my world and I will do everything I can to love you as you deserve. You’re a beautiful person. Don’t let anyone tell you otherwise! I can’t believe it’s Christmas time again. Well, it was when I began writing this post. If you’re anything like me, you enjoy helping others in need all year-round, but especially this time of the year. There are so many people in need and we are called to help them. Unfortunately, this time of year also brings out the greediness in many. You usually see this on Black Friday (which starts on Thanksgiving night now) and just before Christmas when people fight over the products that they must have. Our children are aware of all of this. They are also aware of when we are unkind to each other and them. Conversely, they’re also aware of our kindness and compassion for each other. This is why I was sickened and angered by this dad who forced his daughter to walk to school which is miles away while he videotaped her in order to punish her for bullying. Punishment is also a form of bullying because it teaches children how to force people to do what they want. It is a temporary, ineffective solution to any behavioral issues, but especially for bullying. Most bullying is the result of bullies feeling powerless because there’s either too much control in the home, i.e. authoritarian parenting (very controlling and punitive), or not enough care and acknowledgment, i.e.neglectful and permissive parenting. Some children (and adults) are so desperate for control and power that they will target seemingly weaker people. They push and push until they get the reaction they want and then they feel powerful being over the other person. While I completely understand the seriousness of bullying as I have been bullied and made fun of my whole life, and I just dealt with a cyber bully, I feel like the dad just reinforced the bully mentality by making his daughter walk to school and video it. What did it teach her about kindness and respect? NOTHING! And his demeanor was very punitive and bullyish. Forcing her to walk in the cold while he followed her in his truck and videoed the whole thing is punishment, not a consequence of her actions. And SHE was also bullied herself. Think maybe she was trying to exercise power over others like they had done to her? There is no excuse for bullying, but you have to understand all the reasons why a child is behaving in a certain manner so that you can work with him/her and teach him/her. Children learn what they live. As I said, I just recently had a cyber bullying incident that I had to report to Facebook. Both children and adults get behind their screens and say things that they usually wouldn’t ever say to the other person’s face. I have not been a bully but I have been harsh online and have had to apologize for my behavior. Saying anything cruel and calling names is bullying and verbal and emotional abuse! Exercise control over a weaker person to feel powerful and inflict pain so that someone else can feel the pain that they are feeling. To get a negative reaction from the victim as well as attention from others. I would be very upset if I had a child and my child ever bullied another child. Social media and other media outlets are showing bullying to children. So the first two things I would ask if my child was being a bully is “What have I been doing to contribute to this?” And, “Why is my child feeling like he/she has to bully?” There is a reason for all unwanted behaviors. I would work on the connection between my child and me. I would limit screen time for my child and insist on knowing every account they have. Many children and adults have secret accounts for bullying and other inappropriate things that they don’t want anyone else to know about. It is crucial to be an active participant in our children’s online activities. We need to stop cyber bullying and teach children that cyber bullying is also never okay. If they see online bullying, they should put an eyeball 👁 emoji in the comments. And cyber bullying must always be reported! I would have many long discussions with my child about why it’s NEVER ok to bully. I would read books with him/her about people who were bullied. I would role play to teach kindness. I would have him/her do community service with me. Teaching children unconditional kindness is so important. Unconditional kindness is when we do something kind to someone without expecting any type of reward or credit for it . This is true kindness. Another critical thing I would do is teach my children about all different people and not do anything to criticize differences. When disability, culture, religion, age, race, and sexuality differences are understood, there’s less bullying because children learn that we’re all humans and we deserve equality and respect no matter what! This is why I wrote my children’s book about my cerebral palsy which is currently being illustrated. When we understand someone very different than us, it leads to kindness and compassion (unless the person is mentally ill and unable to be kind). Finally, I would take the child to and from school and check in with her/his teacher until I could trust him/her again. Gentle parenting is more work than just punishment. Most parents don’t do anything because they don’t know how. This is an excellent article about helping bullies become more empathetic and compassionate with others. Understanding what drives bullies is crucial to both stopping and preventing it. Teaching children empathy and compassion is so important. And Christmas time is a great time to really teach this so it will continue year-long. When children see and are involved with more giving than receiving, they’re taught about empathy for people who aren’t as well off as they might be. It also teaches gratefulness and that they are not entitled to get anything. Christmas and New Years’ is a time to get involved with different charities. It’s also a time to reflect on our relationships with our children and other people. Children need our love and a deep connection with us. They need to see healthy relationships with people. 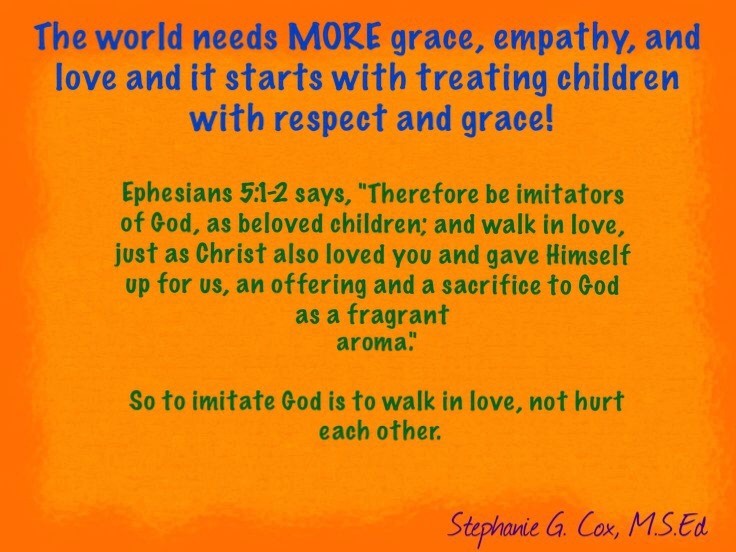 This is vital for teaching empathy, compassion, and love towards others. They also need us to teach them healthy coping skills for their negative emotions. I believe most bullies can be reformed if they are worked with for a while. It may not happen overnight but we have the power to show them what empathy and compassion looks like. 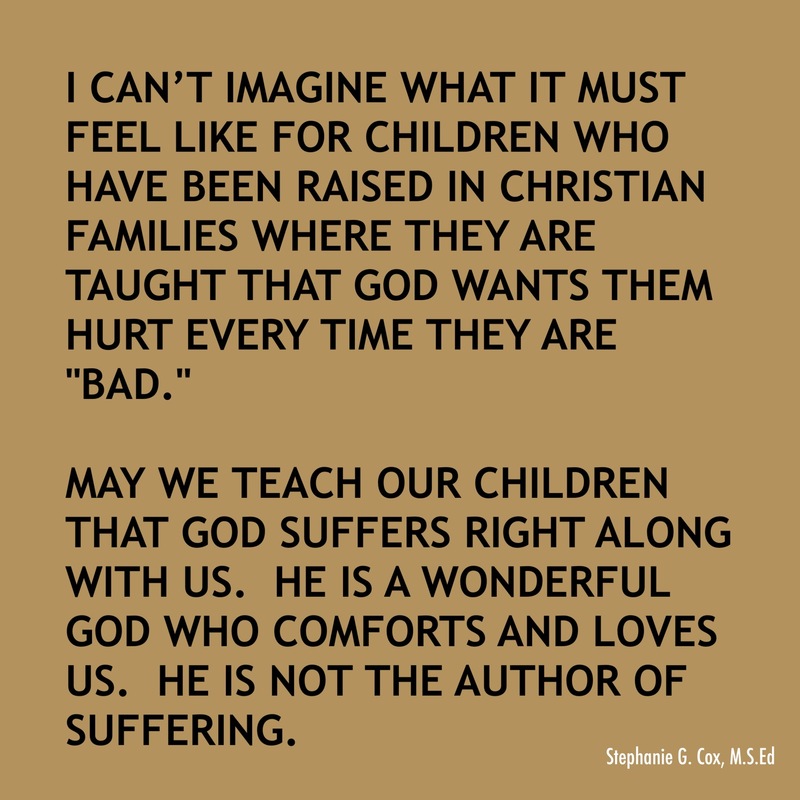 We can soften a harden heart by helping them deal with their own pain that is causing them to bully. We can teach them gently that greed and entitlement are bad. Here is another excellent article about how to deal with bullying. Children who witness bullying should always report it to a trusted adult. If they are being bullied, they should do their best not to react and walk away to report it. I believe teaching children self-defense is also important. Taekwondo and karate are wonderful ways of accomplishing this! This Bible verse came up in my devotional recently during my cyber bullying incident. It comforted me and applies to everyone even if one isn’t a believer. “But love your enemies, and do good, and lend, expecting nothing in return; and your reward will be great, and you will be sons of the Most High; for He Himself is kind to ungrateful and evil men” (Luke 6:35, NASB). As we enter the new year, may we use gentle parenting to prevent bullying and raise kind, compassionate children! I hope everyone had a wonderful Christmas and will have a happy, healthy, blessed New Year! Actually I emailed this to close family and friends over a month ago. He is now 6 months old and things are continuing to progress slowly but surely. On July 11th we adopted the sweetest, craziest kitten ever. Ever since our sweet boy, YP, went Home, on top of other 2 major back to back losses, we’ve been in a dark place and trying to get out of it. I know very few people understand the depth and love we have for our kitties, but, for us, they are our kids. After an almost adoption went terribly wrong last October, we had agreed that Patches, our 12-year-old female calico, would be our only kitty until the horrible day she crosses the rainbow bridge into Heaven. I grieved that loss of hope but accepted it until late this spring. Even Chip started talking about getting another kitty but was in absolutely no rush! And I mean no rush. I respect my husband so I did my best to let it go. I stopped looking at shelters and told people not to send us kitties who needed homes…Until sometime in May when I started occasionally looking at shelters but Chip wouldn’t really look at anything, yet, he kept talking about getting a new kitty and what age Patches would be more likely to accept. We were quite concerned about Patches adjusting to a new kitty despite getting along great with YP except for after the vet she’d get mildly aggressive with him for a day or so until the vet smell subsided. Well, as YP’s first anniversary of going Home approached (July 5, 2018), the desire for a new life started to grow to the point of desperation and I was confused, angry, and really hurting. Losing YP just absolutely devastated us like losing Sara, my first kitty did! But YP was special in the way he loved us. He was/is one of our soulmates. I thought I would eventually lose the desperate desire for a new kitty after we got through his first anniversary but it didn’t subside. It only got worse and Chip started talking about getting one in the fall. That confused me and even angered me. Grief is so hard and weird. So I started researching the different local animal shelters just for the heck of it. I would look at kitties and think, “sorry, not for us.” THEN on June 28th I was looking at all the pictures of adoptable kittens and found this picture of Samoset and immediately started laughing at his nose and felt a HUGE connection. I tried to show Chip, but he barely looked at it and I emailed it to him asking him to pray about if God and YP might be sending him to us. Yes, I truly believe that there’s so much more going on in the spiritual world than we can even imagine, and I believe Sara and God sent us Patches because I didn’t want another girl kitty back then because I didn’t want to replace Sara in anyway but they didn’t give me a choice. The picture on the shelter’s website. I tried to put him out of my head so hard but ended up asking the shelter if he was still available and he was. “Great! That was so stupid of me,” I thought with a few expletives. I prayed he would get a good home. 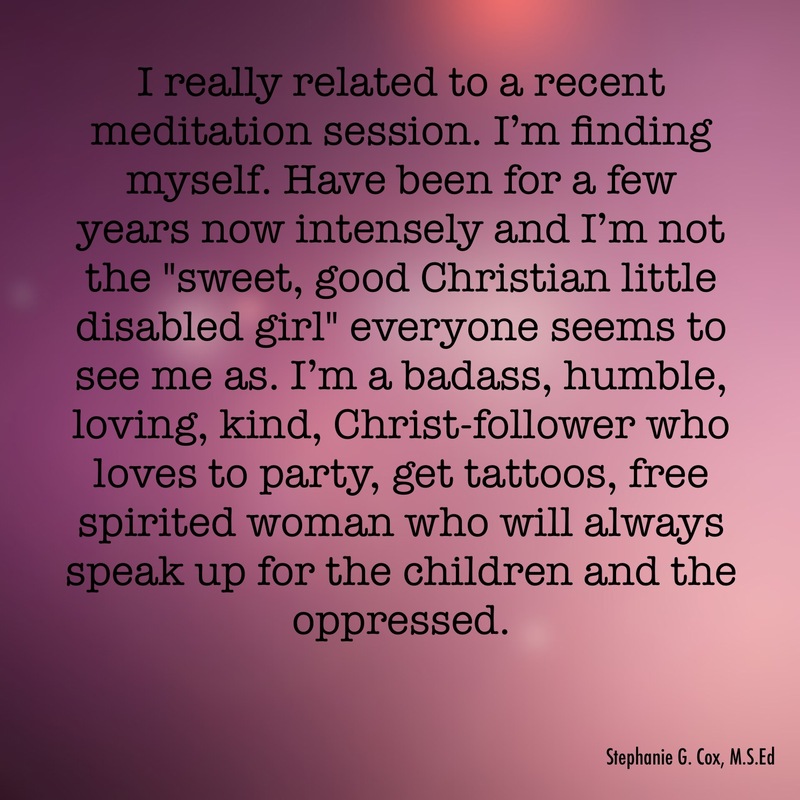 I meditated to try to let go. But I couldn’t! I was in love with him. Finally the Monday after YP’s first anniversary of going Home, I blurted out that I was in love! Chip said he’d think about it and finally actually really looked at the picture and he said maybe Thursday we can go see him and talk to them about helping Patches adjust. I cried but then I was worried about him being adopted before then, so later, I explained that this is a very bittersweet, emotional thing and we should not try to combine it with other errands. I got him to agree to go that Wednesday. That day you would have thought I was having some major surgery or something. With my brain/emotional make up, I knew I could easily get my heart broken again and I was extremely anxious about Patches adjusting to him if he did choose us. I don’t believe in forcing cats to come home with you if there’s no connection. There was a very real possibility of him either not liking us (some kitties are afraid of me due to my wheelchair and involuntary movements because of my severe cerebral palsy. ), already being adopted, or the staff not recommending this with Patches being an older cat (12). So I had Chip talk about weird things to distract me from my anxiety. But then signs from loved ones in Heaven started occurring. Again, there’s so much more to the spiritual world than we can ever understand on Earth. First, we had music on and Chip’s mom’s favorite song, “What A Wonderful World” by Louis Armstrong played which I thought was weird and I acknowledged Mom2 in tears. Then heading to the van to leave, I looked up and there was a heart shaped cloud in the sky. I asked Chip, “Is that a heart?” He agreed. A sign from God. Obviously, signs were happening but I didn’t know what they meant. I didn’t know if they were good or trying to comfort me. I now know it was both. Then we go by a bright red corvette. Grandpa! We arrived at the shelter and I was having a little PTSD because it was the same shelter we adopted Patches and YP from, and flashbacks of YP confidently locking eyes with us and walking across the counter into our hearts and arms flooded my mind, so I kept focusing on my breathing to keep calm and telling myself that I was gonna have to accept whatever was going to happen. But my husband, who had to be dragged to the shelter, started acting goofy and excited. I was like what the heck is up with you. Deep breath and in we go. They greeted us and said that we could go in the cat room and meet him but that they had been sick so the kitties were confined in their cages. I started to freak out a bit because I needed to get him out of the cage to make sure he wasn’t afraid of me and they said he could get out but not on the floor. Yay! The second I found him and we made eye contact, for a split second, it was like I was looking at YP again. Samoset gave me that look of pure love and immediately started to come to the door to get to me/us. I cried. Unconditional love is major for me due to being abused throughout my childhood and rejected and hurt by people throughout my life. He got on my table, did a nose kiss to my nose, and bit on my glasses. I cried again. He snuggled with Daddy too. Of course, he jumped on the floor before we could catch him but Chip apologized. He’s a fast little booger. We have so many nicknames for him already. So we told the staff about Patches and her mild aggression with YP after vet visits and that she is 12. They said it would take her longer to adjust to him but if we move slowly, she will eventually get there. One staff member told us about her experience with adopting one of the kitties and there was howling and fighting for over a month and she was afraid she was going to be one of the people who relinquished the animal after adoption, but she covered the crate and eventually it stopped and they are fine. They still had our adoption applications from Patches and YP which is over 11 years old. They were so sorry about YP going Home. We filled out a new application for Samoset, known at the shelter as “Katio,” and they called Lakeside, our animal hospital where the vet is, for a reference and he was ours. Yes, I cried. They wanted us to take him home that day which we thought he would have to go to the vet first like YP and Patches but that’s not the policy anymore since he was already neutered. We just had to get him to the vet within 7 days so if he had any life altering diseases, the shelter would cover the vet care for that. Unfortunately, we didn’t have a carrier nor any kitten supplies so we said that we could get him the next day. They were fine with that. We told him we would be back tomorrow but he looked sad watching us leave the kitty room. Patches looked like that as did YP leaving them. Animals have feelings and know more than we think they do. Just like children. We underestimate the innocent so much. I had to shut my emotions off and just focus on him both that day and the next day because the room was full of kitties and even some in the lobby. Please adopt from shelters and spray/neuter your animals to help stop the overpopulation problem. Thankfully, there are more and more no kill shelters but healthy animals are killed just because there’s no room for them. I’m grateful all the shelters here are great about not killing animals and finding foster homes for them and making sure they are adopted. I wish I could have adopted all of the kitties in there so I just acknowledged them and focused on my new baby! On the way out to the van after adopting him but not bringing him home, a yellow butterfly fluttered at Chip’s hand. He almost waved it off until he saw it was a butterfly, YP’s sign from Heaven. More tears and a whirling mind with emotions and thinking what we needed to go get at Petco. On the way to Petco, the funeral home had a sign about the shelter needing food. Ok, we get it God. It’s been wonderful having him here. We did the separation of kitties for quite a while then with a gate and now he’s out of the bathroom a lot of the time but he still goes in there to sleep at night and then when we cannot watch them. They’re slowly adjusting but we just had a little incident because he wanted to go to the top perch and Patches was in the second level and didn’t like his tail flicking in her face so he is getting fed in the bathroom and time to let them chill. They’ve had other incidents but he is out here almost all the time and they eat together. Gentle parenting works for kitties too. Overall, he loves to snuggle, sleep in my arms, and play. He’s hilarious. Patches is coming around but I will be happy when alpha kitty is established. Plus, the age difference is harder for her to adjust but we’re respecting them so we’ll get there. He’s getting better at sleeping out here but still sleeps soundly in the bathroom so when he is pushing it, we know he is getting overtired. He plays and runs and attacks us. He’s learning not to bite hard and limits. He’s smart but still a baby. Yes, gentle parenting works for kitties as we don’t believe in spanking/hitting animals either or even punishment. We just remove them while saying “No” firmly and redirecting him. Sometimes I bop them due to my spasms and even Chip has accidentally stepped on them and then we immediately comfort them and apologize. They just know more than we give them credit for. Thankfully, he is afraid of outside and is being good about getting away from the door. He loves to run into other rooms like Patches does and YP used to but not outside. Yay. Kitties are safer and healthier indoors only. I still get anxious about Patches as stress isn’t good for older kitties, and I still feel like leaving YP and Patches at the vet, even though they get excellent care at Lakeside, for over 2 weeks when my grandpa went Home could have gotten YP’s diseases going. I know, it’s probably unlikely, but it still haunts me so we won’t be leaving them for more than a week at a time. They’re our babies. Before I end this, how did we pick the name Samoset? All my kitties are somehow connected to each other and I picked Patches after the name of Sara’s favorite toy which I had named Patches as a child as Sara ripped the eye off one of my pound puppies and my mom sewed a patch over its eye so I named Patches Patches. YP was named after a ham radio friend who encouraged us to adopt 2 kitties when we were ready after Sara went Home. With Samoset, we watch the Charlie Brown Thanksgiving show and used to be goofy and give each other roles. Most years YP played Samoset so we decided that our next boy kitty would be named Samoset. I strongly believe that animals should be a part of every child’s life even if it’s a fish. Having a life to help care for teaches children responsibility and teamwork because the animal is a family member. It also helps teach children kindness and empathy as we help our children learn to respect the animal and treat it gently. Lastly, pets provide another source of love and support for the children as they can talk to the pet and love on them. Anyway, that’s the story of our new wild man, sweet baby boy like YP. He’s a lot like YP so we know God and YP sent him. I’m so grateful for new life and experiencing happy firsts instead of sad firsts after 3 years of fresh grief. Please keep praying for them to co-exist more and more.